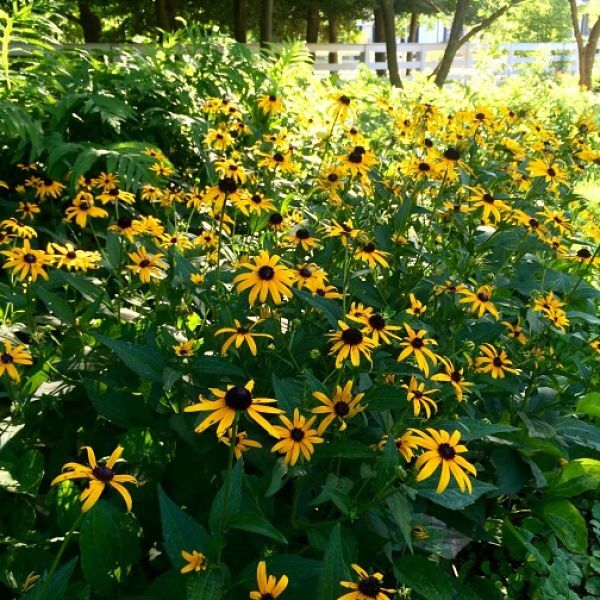 The Continue to Love Me Mothers' Garden at Liberty Hall, located on the Orlando Brown House lawn, is a memorial garden that offers community members the opportunity to honor mothers and grandmothers with a flowering plant. The garden features annuals and perennials that evoke love and remembrance. The sign in the Mothers' Garden features the sentiment Continue to Love Me written in 1810 by a nine-year-old Orlando. He wrote this in a letter to his mother, Margaretta Mason Brown, who was visiting family in New York. To honor a loved one in 2019, please click here for the brochure. Forms must be received by April 29, 2019 (close of business) to honor someone for Mother's Day. A card of recognition and a seed packet will be sent to the honoree by May 12th 2019. Mothers' Garden Honorees are listed here: 2018 In Honorand 2018 In Memory. 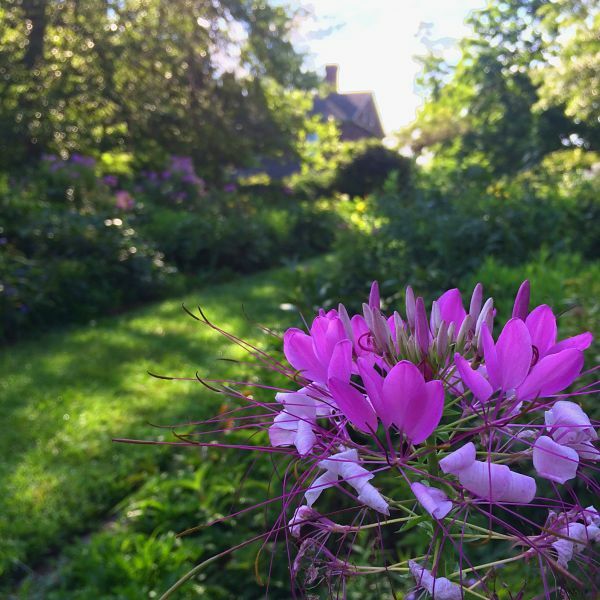 A new monarch waystation garden, located in a sunny patch on the Orlando Brown House lawn, is in memory of two girls named Euphemia Brown who lived at Liberty Hall and at the Orlando Brown House in the early nineteenth century. Euphemia Helen Brown (1831-1891) was the first child of Orlando and Mary Watts Brown. Orlando was the first Euphemia's brother and his daughter was likely named after her. This Euphemia was the grand-daughter to John and Margaretta. As an infant, she was dangerously ill with scarlet fever that may have caused brain damage. Letters written by family members note that she did not talk until age three and spent her days “padding about . . . busy at nothing.” Her memory was said to be excellent but her “judgment defective…her development tardy.” Sadly, she spent over half of her life institutionalized. By 1858 she was living in a hospital in the Cincinnati area, cared for by nuns who reported that she suffered from fever and hallucinations. In 1891 she died of pneumonia at St. Elizabeth Hospital in Covington, a hospital intended for orphans, the poor, the elderly, and those with nowhere else to turn. There are many pla nts in the LHHS gardens that appeal to butterflies, such as cleome and hibiscus. 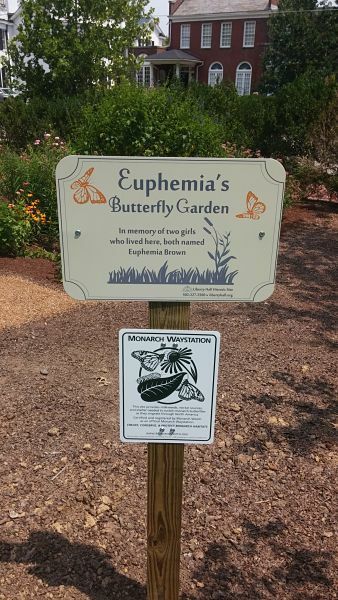 Euphemia’s Butterfly Garden was designed to attract Monarchs,a striking butterfly with dark orange wings with black or dark brown veins and black borders with white spots. Unlike many butterflies in Kentucky, Monarchs winter in Mexico and the southern United States and fly north in the spring to lay eggs. The black, yellow, and white-striped caterpillars that hatch from those eggs feed, pupate, and emerge as butterflies, which mate and lay eggs multiple times before returning south. 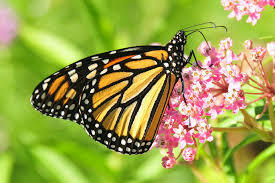 Monarch caterpillars feed almost exclusively on milkweed, so Euphemia’s Garden includes several varieties. 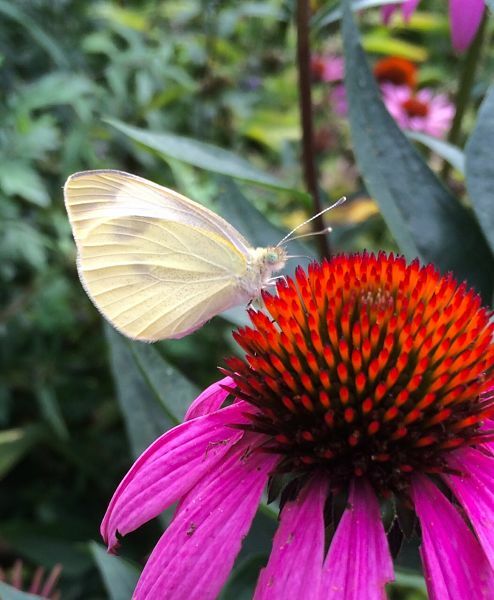 The garden also includes other nectar-producing plants that appeal to adult Monarchs, such as black-eyed susans and purple coneflowers.